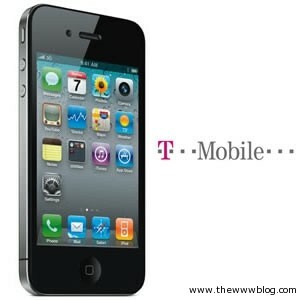 Will your iPhone 4 Work with the T-Mobile Network in USA? It has been reported many times by consumers that after switching to T-Mobile from AT&T, the network speed has reduced. Most of these iPhones have not worked well with the network of T-Mobile. Therefore, if you wish to take advantage of T-Mobile network, you should first verify from other sources, whether your iPhone 4 will work well with it or not. To explain this further for you, let me get to a bit deeper. The HSPA+ network of T-Mobile has a slower and faster version. While the former is limited to speed up to 21 Mbps, the latter can go up as fast as 42 Mbps. With an iPhone 4, you may experience trouble in getting the HSPA+ 42 Mbps speed and this will certainly not make you happy. You will still get the HSPA+ 21 Mbps, but, think again, will such speed limitation be able to satisfy you? An iPhone 4 doesn’t have the traditional SIM cards; rather, these use a smaller version of the traditional SIM cards. Though T-Mobile sells the smaller Micro SIM cards which are meant to be compatible with iPhone 4, many users have reported to face issues with it. The cost is only $10 and you can buy it right from the official store. If you already have an existing SIM from T-Mobile, you can call the customer care representative for transferring one account from one SIM to the other. The good news is that Apple has now started to sell iPhones that can be unlocked and are compatible with T-Mobile (It really doesn’t matter even if these iPhones are locked to AT&T preliminarily). There are also standard iPhones available which are locked to T-Mobile carrier. You may still need to look out for how to unlock an iPhone 4, if you haven’t got a hold on those though. To help you, there are plenty of reputed iPhone unlocking service providers and you may take help of any of those. We have had some excellent tutorials in the past which explained how one can get the iPhone unlocked and most of them worked, and one of them would be working with the iPhone 4 to then accept the T-mobile network too, but it all looks risky in the end when you try to update your iPhone software to a later version which might remove the unlock and again make it a network-locked device. The latest version of the Apple’s iOS is the iOS 7 which we cannot mention here about, because someone who tries to have that version would see their device permanently locked. It is always good that you contact the network provider directly for the unlocking issues, and with the T-mobile providing several options, it’s good that you have a check before proceeding with anything. Do check a tutorial on how to secure your iPhone and how to remove jailbreak from any of your Apple device like the iPhone, iPad etc.